Inside sources claim that General Motors is quietly working on a bigger and even more powerful V8 gasoline engine. 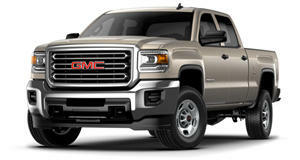 According to GM Authority, it’ll have more power and displacement than the new 6.6-liter V8 L8T gasoline engine available in the new 2020 Chevrolet Silverado HD and 2020 GMC Sierra HD. This engine is based on the automaker’s iron block motor and is good for 401 hp and 464 lb-ft of torque. So how big could the rumored new V8 be? Those same sources said it will be "well over” 8.0-liters. Okay, so what on earth does GM want or even need a gasoline V8 of that size for? GM Authority predicts it’ll be used in the upcoming Class 7 trucks currently in co-development with commercial truck company Navistar. The two companies previously jointly developed the Class 4, 5 and 6 2019 Silverado Medium Duty and International CV chassis cab trucks and that partnership flourished. Both companies greatly benefited, so it makes sense to see where else they can cooperate. 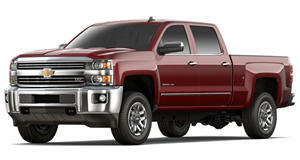 GM sources also reiterated that "for the time being" the 6.6-liter V8 would remain its largest gasoline engine. In other words, no one is flatly denying the existence of this new V8 engine program. But what’s interesting is why this new V8 isn't a diesel? Aren’t HD trucks and other related work trucks typically oil burners? They are, but gasoline engines are now more fuel efficient than ever and, furthermore, don’t carry the negative stigma associated with Dieselgate. Technologies such as cylinder deactivation and advanced automatic transmissions can dramatically improve fuel economy figures. There’s also another major factor: GM will soon begin launching a lineup of electrified vehicles in addition to the Chevy Bolt. Those EVs will allow GM to remain within CAFE standards while also being able to sell gasoline-engined trucks, SUVs, and sports cars.